Meet Our BranDD AmbassaDDor: Esha from the University of Connecticut! Hi everyone! 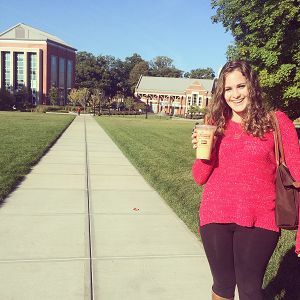 My name is Esha and I am the Dunkin’ BranDD AmbassaDDor for the University of Connecticut (UCONN)! I am from New Jersey and am currently a sophomore majoring in Management, with a goal of pursuing a career in brand marketing/strategy. I love being a student at UCONN; it has the feel of a small school with the diversity of a large state university. On a campus, with over 16,000 students, UCONN offers a wide variety of majors (even puppetry! ), resources, and over 500 student organizations to get involved in. Last, but not least, we are national champions in basketball – Go Huskies! As the typical college student, I love Dunkin’, because it’s fast and affordable. 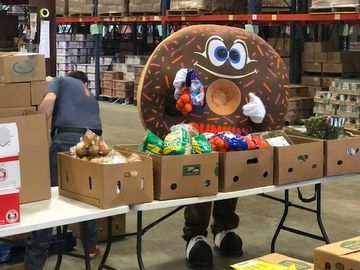 As a BranDD AmbassaDDor for Dunkin’, I get to learn about everything that Dunkin’ has to offer (like the new Croissant Donuts) and work behind-the-scenes at UCONN events. For example, Late Night is a free event that takes place every Friday night at UCONN that offers students giveaways and karaoke. Being able to represent Dunkin’ at this event, and offer my fellow students free food and giveaways, was a great experience. 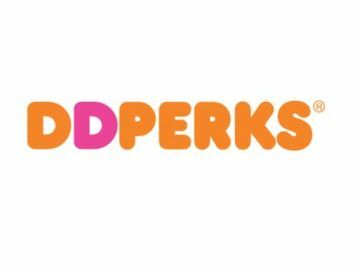 I was even able to educate some of UCONN’s loyal Dunkin’ fans about the benefits of signing up for the DD Perks® loyalty program. 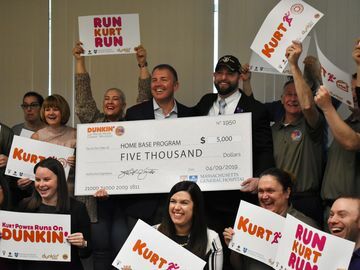 Participating in this event with Dunkin’ also gave me a chance to see how many great events Late Night offers every week. This semester, I have been actively promoting the Dunkin’ brand to UCONN students. In addition to Late Night, I also partner with several student organizations to offer them ways to incorporate Dunkin’ at their events and programs. Over the next few weeks, I will be participating in another Late Night event and getting more involved at basketball games. 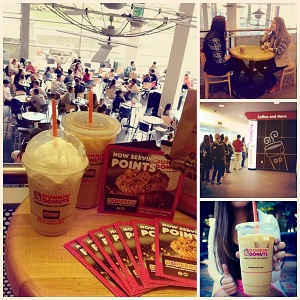 Follow the UCONN BranDD AmbassaDDor (me) on Instagram (@ucdonutrep) to get updates about Dunkin’ on campus! To get more updates about the Dunkin’ BranDD AmbassaDDors, continue reading our Behind the Beans blogs and follow us on Instagram!